The Riot sling pack is designed as a slim, one-strap pack ideal for confined spaces and crowd control. Removable padded walls make this pack ideal for carrying firearms, photography equipment, or media gear. The master compartment can only be accessed from the side closest to the body when worn, making this an extremely secure pack. 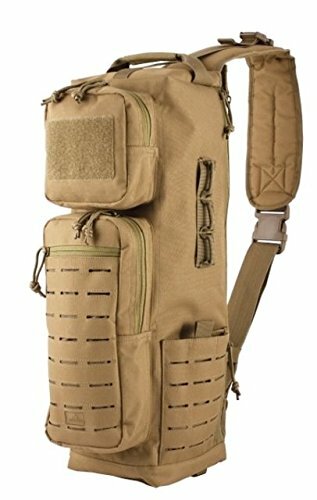 Divided zippered slip pockets, collapsible bottle pockets with laser-cut MOLLE panels, and elevated MOLLE bars are mirrored on either side of the pack. On the front sit two utility pockets, and a zippered slip pocket faced with laser-cut MOLLE webbing. The padded shoulder strap is adjustable and ambidextrous.